This 50 m x 20 m arena was constructed in the record-breaking heat of summer 2018. 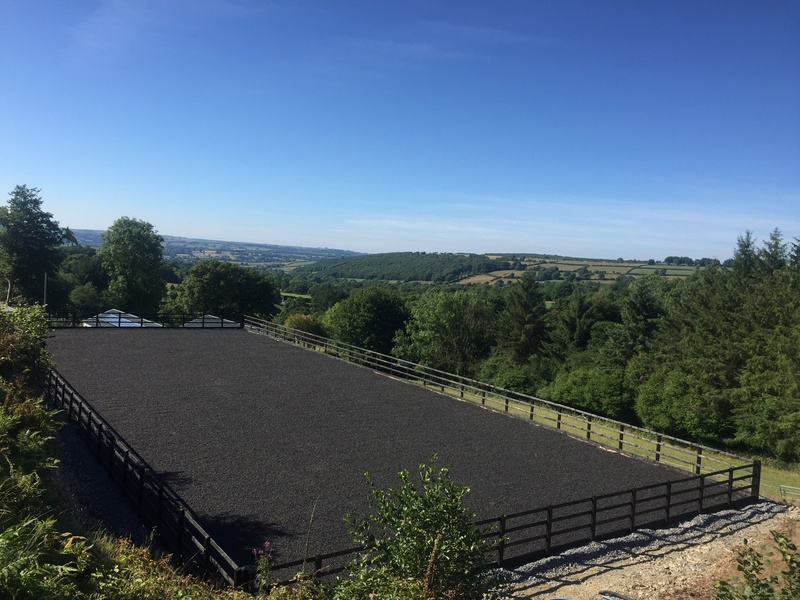 It has a chipped rubber on silica sand surface and is situated in a stunning location with wonderful views, and right next to the stables too! 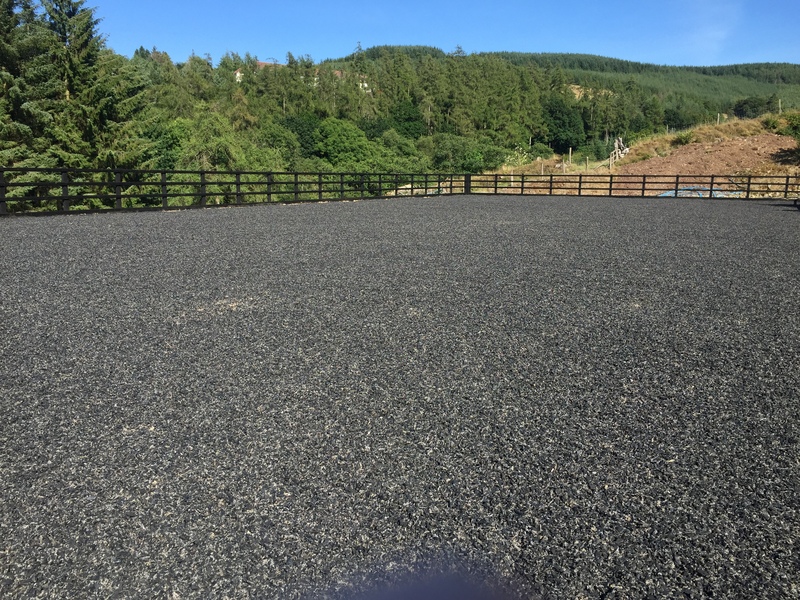 We are extremely pleased with our arena and would not have considered anyone but Danny and Kate and their team of Equi Arenas to do the job. 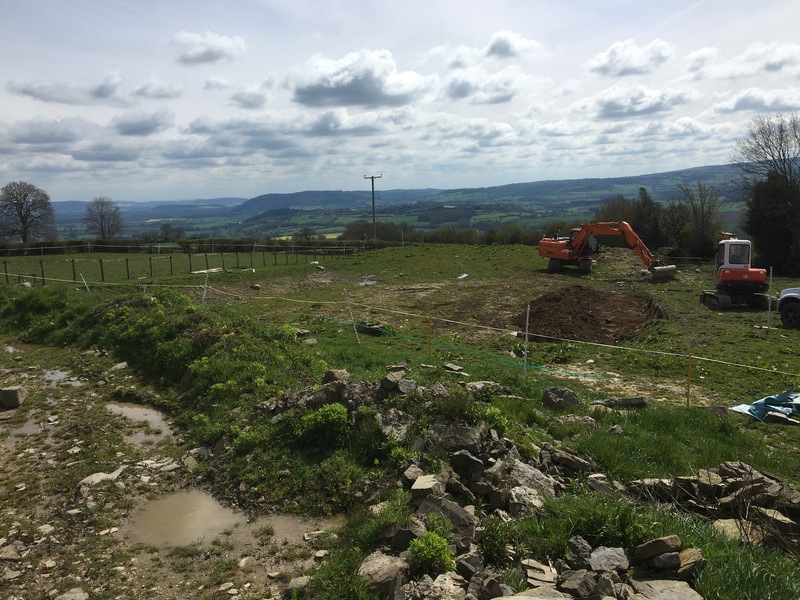 A fantastic location with great views but not an easy site to work on, with very little soil and straight into hard rock. But Danny and Richard are well aware of the geography of this area and dug straight in. On top of the testing ground they had to keep going under that searing July sun and its extreme heat – which was a test for anyone trying to work outside. 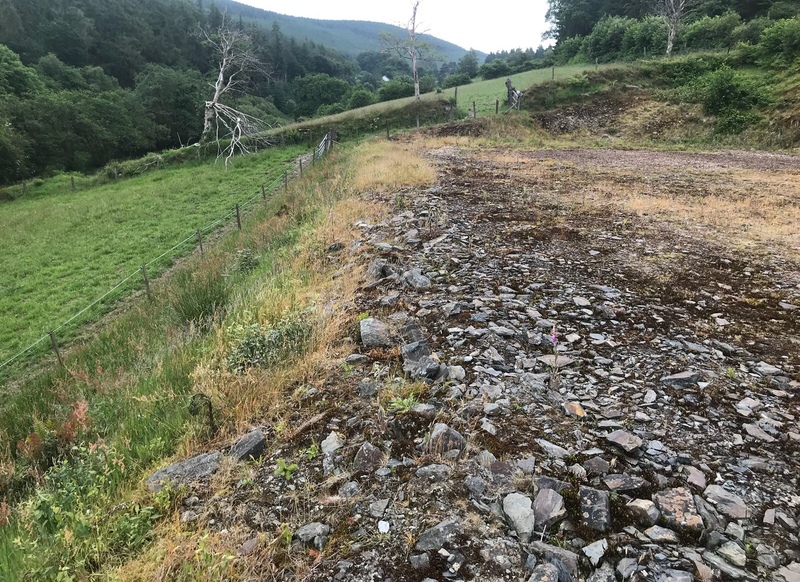 Apart from the arena being a bonus come the winter and daylight hours are short, it has put great value on our place if we ever sell, and complements the great off-road riding of Llanllwnni mountain and Brechfa forest right on our doorstep. I would just like to say an enormous thank you for your hard work and conscientiousness in building our arena. It is absolutely fabulous – an arena with a view. Danny you and the team were a joy to have on site, hardworking and the tidiest team we’ve had throughout our build project. I would highly recommend you to anyone and please feel free to invite any potential customers to call us if they have any questions. The weather could not have been kinder and boy have we had some rain since you left. I can not recommend Danny and Kate enough, they are so lovely to deal with and completely professional. The refurbishment they have done on my arena is amazing, the surface rides fantastically and despite all the snow and freezing temperatures it hasn’t frozen once! 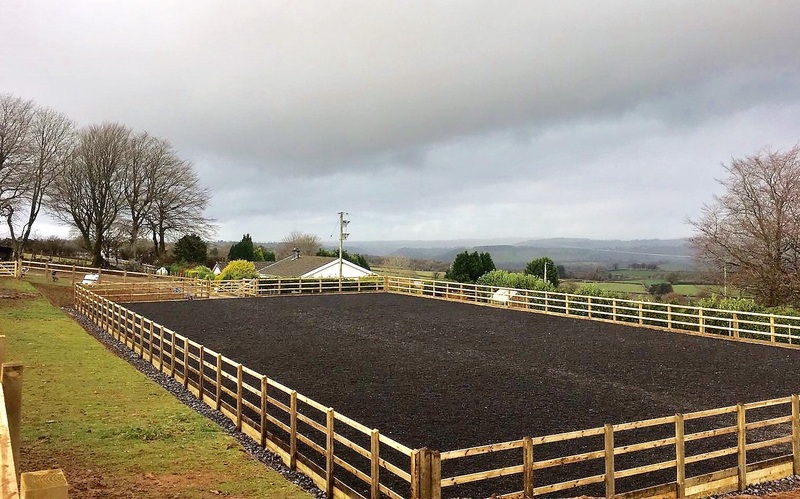 We are delighted with the refurbishment carried out by Equi Arenas West Wales. Kate kept us in the loop on timings all the time and Danny and the boys finished the job on schedule and on budget! 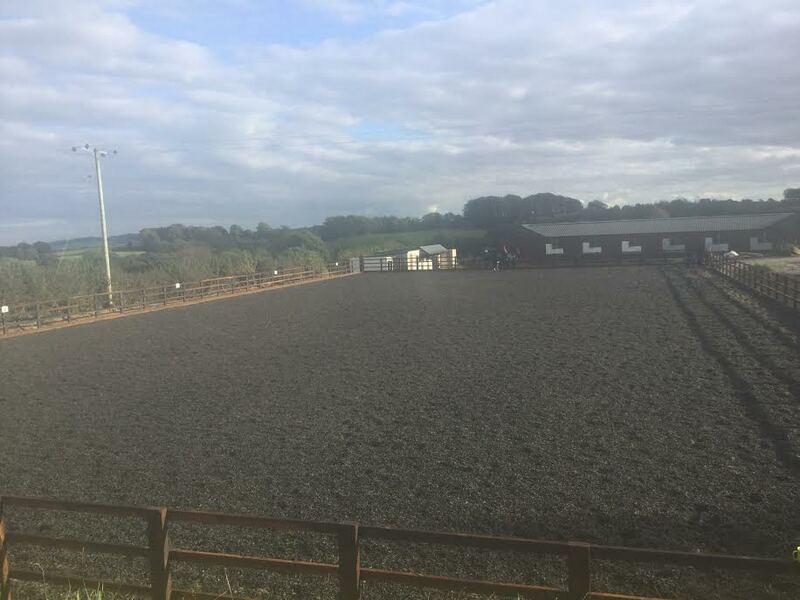 Thoroughly recommended for refurbishing manege arenas and also for new-build arenas. Wow what a great service and finished arena! Danny and Kate visited me shortly after we received permission to build our new arena. Within weeks Danny and his ‘team’ were well under way to finishing it. Despite our ground being deep with mud it didn’t phase them at all. 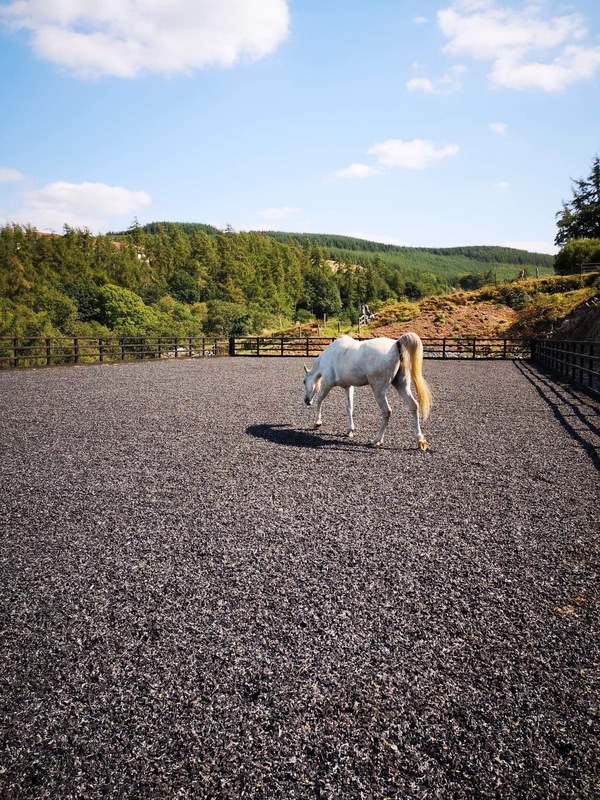 The surface I chose is Silica sand and carpet fibre, my horses love it. Especially my 23yr old Section D mare. It looks great and has improved our land and property no end. Danny & Rich were amazing, really hard working and I could not believe the change that has occurred on the land. It was so wet, useless for anything else, but now the drainage is so good, which you can tell because there is water constantly flowing from the pipes. A very friendly and professional service from you and the lads. I would highly recommend Equi-Arenas to anybody. When I have clients round they are very impressed with the space and the surface. Thanks again!!! Danny and his team have done a great job, we are thrilled with our new arena. They were very careful and conscientious workers and left the place clean and tidy. We highly recommend Equi-Arenas. Danny and the boys were excellent, very friendly and helpful. They left the place tidy when they finished and even did their best to keep the neighbours happy! Thank you for my arena and schooling extras. Had a few arena quotes but decided to use Equi-Arenas as they were a local company but also recommended to me by a friend. 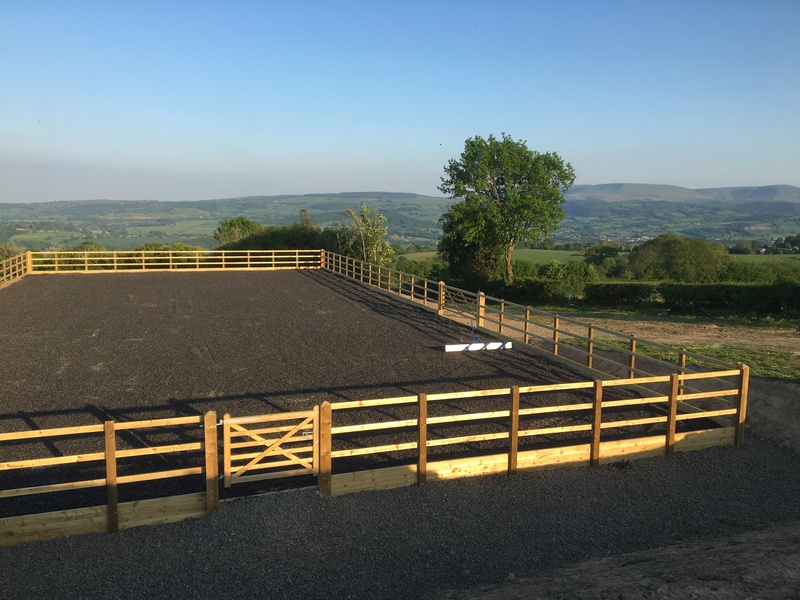 I can now happily recommend them myself as they were so great to work with; nothing was too much trouble & the finished arena is exactly what I wanted. I also have the security of their aftercare service. Very happy customer. 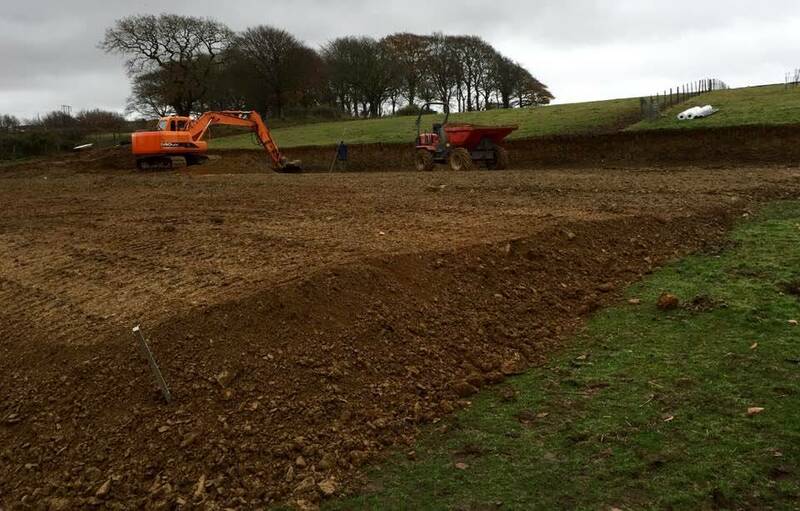 We would like to say how pleased and impressed we are with West Wales Equi-Arenas. We were a bit cautious as had had a bad experience with a previous arena builder, but we had nothing to worry about with Danny and his boys. They were professional, courteous, helpful and efficient from the start. Our initial meeting with Kate and Danny instilled confidence with the knowledgeable advice that was given. Danny and his boys worked tirelessly from the day they started, and it was only the extreme wet weather at the wrong time that put a stop on the work. We, the owners and livery clients, are very impressed with how the surface rides, and has been useable no matter what the weather has thrown at us. There has been no sign of puddles or soft spots, even after we had 4 inches of rain in one night; and even after the hardest frosts it has not frozen. 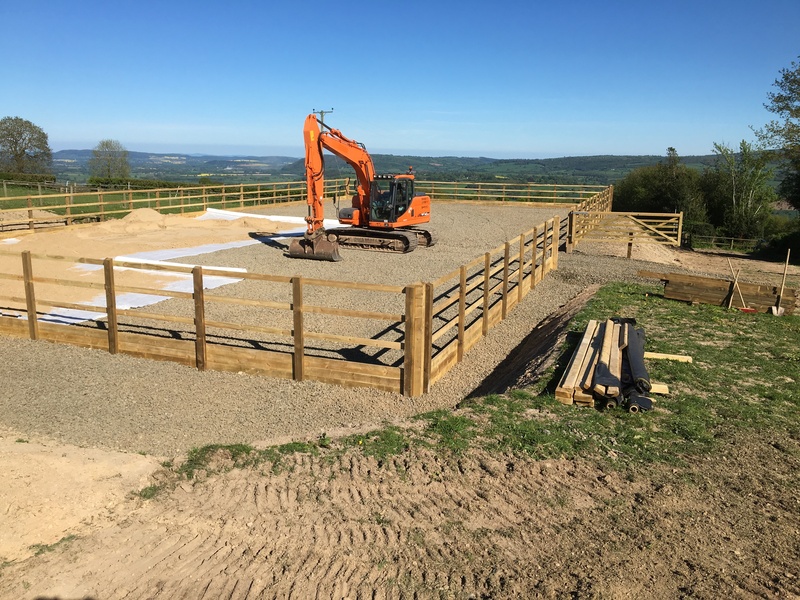 We would give the highest rating to the service that we received and would (and do) recommend West Wales Equi-Arenas to everyone. I just wanted to say a huge thanks for all the hard work that went into our manege. I am so glad that we asked Danny at Equi Arenas for advice, guidance and options, and for all the team’s hard work in building the arena. The attention to detail was fantastic, the quality of workmanship outstanding, with the results exceeding all our expectations.